When I was younger I absolutely hated Mexican food. I refused to eat it, come to find out I’m in the vast minority. So I had to learn to like a few different things just so I wasn’t a social outcast. I learned to like Cafe Rio salads, taquitos, chimichangas and enchiladas. I’m getting pretty good at! This recipe turned out pretty great! 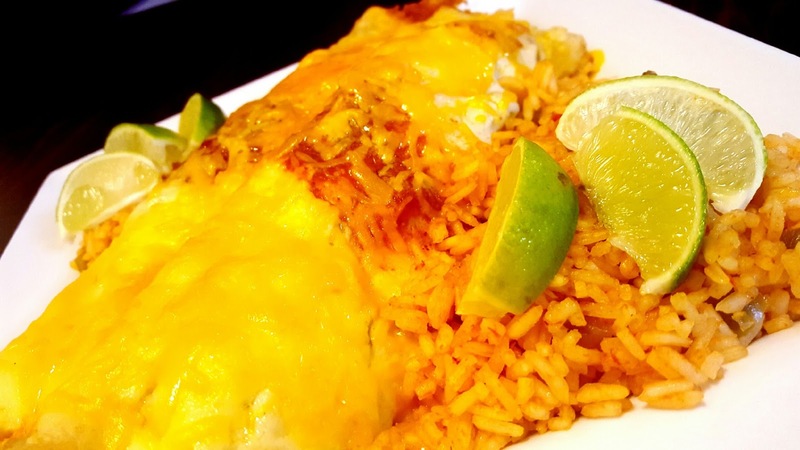 You should look at our other mexican recipes! Tomorrow be looking for my homemade enchilada sauce! 1. Mix together chili powder, cumin, salt and pepper. Dry rub the meat and sear the edges in a skillet on medium high heat. 2. Place the meat and the remaining ingredients in the crock pot. Cook on low for 8 to 10 hours. When finished cooking pull the beef out of the crock pot and shred it. 3. 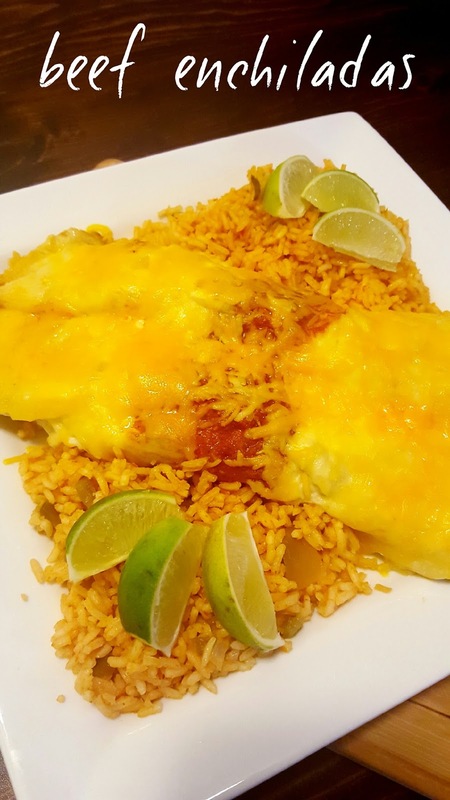 Spread the enchilada sauce in the bottom of an 9×13 inch pan. Place shredded meat and sprinkle a little cheese in the tortilla. Roll up tightly and place in the pan. 4. Make the Sour Cream Sauce in a pan as directed in the post for sour cream enchiladas. Dump on top of the enchiladas. Sprinkle the remaining cheese on top. 5. Bake at 400 degrees for 20 minutes! I am so ready for some Mexican Food, this looks fantastic! Thanks so much for sharing with Full Plate Thursday and Happy New Year! Oooh likin the Dr. Pepper part! Thanks for linking up to Merry Monday! Sharing on G+! Have a great week! Yummy! 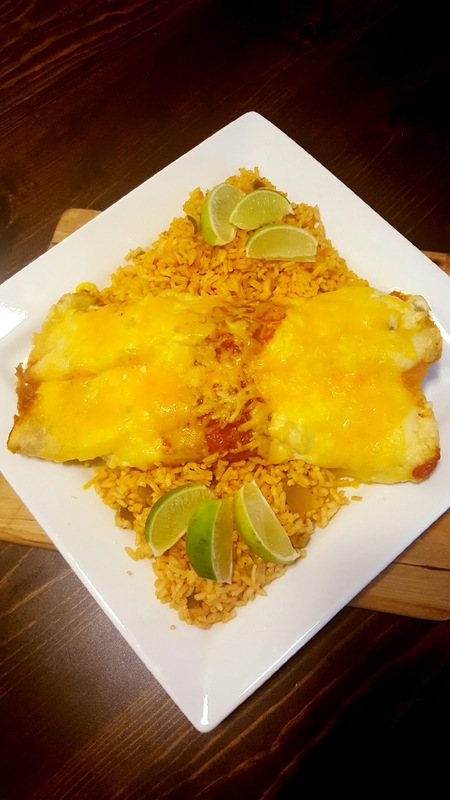 I made chicken enchiladas last week. Thanks for sharing at Submarine Sunday! Looks delicious, thanks for sharing with Hearth and soul blog hop. pinning.